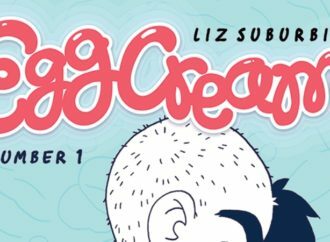 Editors have a tricky footprint to spot, in comics. It’s hard enough for many readers to learn to recognise that a story is made by a writer, an artist, a letterer, perhaps a colourist and so on, but harder still to see what isn’t there: all the things that an editor kept off the page. This explains why they’re so little discussed beyond the occasional blame-laying for a writer not being allowed to feature x, y or z. But with this opportunity—Paniccia on lips not only a source of scorn as someone willing to fire a freelance creative for vulgar speech in defence of marginalised identities, but also being referred to by professional commentators as a “bad editor”—I’d like to discuss an instance of what I believe to be bad editorial oversight. 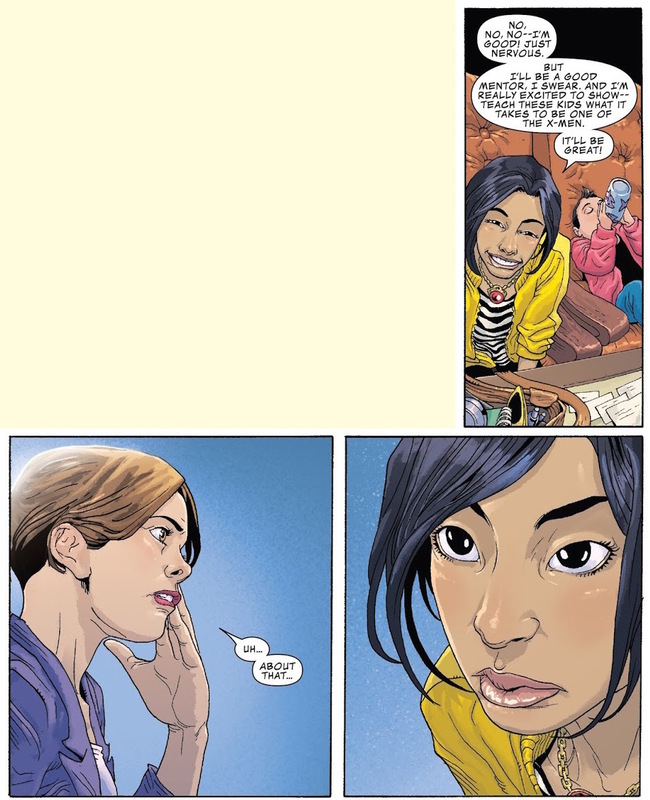 Issues where an artist and a writer did what, in many ways, was passable, solid, or good work, but issues which were not good issues: issues one and two of Generation X volume 2 (2017). 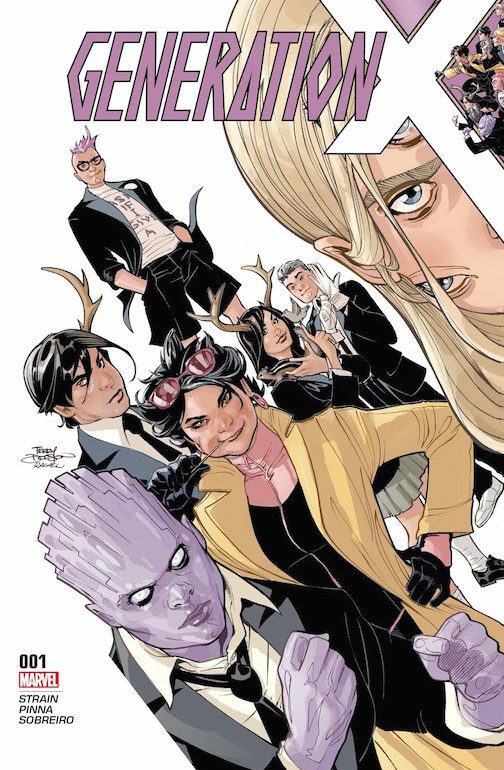 Generation X was written by Christina Strain and drawn by Amilcar Pinna, with letters by Clayton Cowles and colour by Felipe Sobreiro, and it was edited (at least to begin with) by Daniel Ketchum under then-X-Men group editor Mark Paniccia. Ketchum is now Senior Art Director at Wizards of the Coast, having left Marvel in May 2017 during Generation X’s limited run. He was replaced on Gen X, as far as I can tell, by Darren Shan. In March 2018, the month after Generation X’s last issue was released, Paniccia moved from his group editor X-Men role to a group editor role on Marvel’s Star Wars license—the role from which he was empowered to fire Wendig. The responsibility for a writer is to do their writing well. For an artist and a letter (there are no major problems with the colouring, so I shall avoid discussing it here) likewise the demand is to illustrate and letter well. But when a practical creative (in this case, a creative whose work is seen on the page—not an editor, whose input is administrative and conceptual) produces work that delivers in every sense but the formal, that is, when their work does not complement the format of its presentation, one must start to blame the editor. Look at definitions: the editor is the supervisor; the editor has responsibility for revision of content. The editor should edit well. For a title-debut, startlingly little information is given about its ostensible protagonist Jubilee. 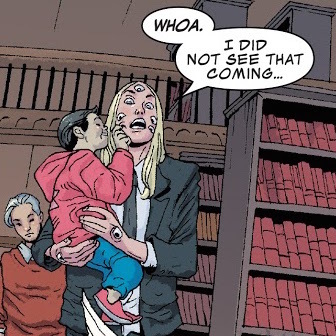 It doesn’t mention that she was an orphan mutant who latched onto her mentor Wolverine and his teammates the X-Men as a pre-teen, grew up at the Xavier Institute, lost her mutant powers, or even that she became a vampire. One panel shows a little fang, but it’s easily missable and besides that could be a mutant tusk. She’s seen with a sippy cup full of red, but that could just be wine mom stuff. There’s nothing to remind an experienced reader that a famous mentee is now a mentor, or even that she spent her teens in a squad called Generation X. In fact, there’s almost nothing to involve a reader in why Jubilee would relate to the kids coming under her charge until the last three pages, and then all that’s offered is “I never belonged out there.” But “out there” is barely seen and hardly conceptualised, and the converse “in here” just seems to mean “at school, around violent people who look weird.” If you know Jubilee and the X-Men well already, it’s fine. It’ll do. If you don’t… you still don’t. It all feels not mysterious, but unexplained. These are points I would expect an editor to flag during drafts. They’re important opportunities for engagement with a readership that was being counted on for an ongoing, monthly series. The biggest identifiable problem with the writing is in the second issue. 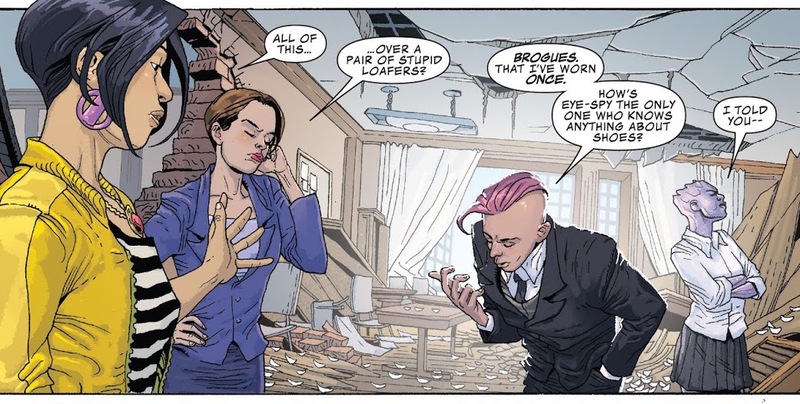 On page eight of issue two, Quentin Quire telepathically orders a group of aggressors to shoot each other; on page twelve, when the scene resumes, they haven’t and everybody’s in a rumble. What happened? The information is totally missing. 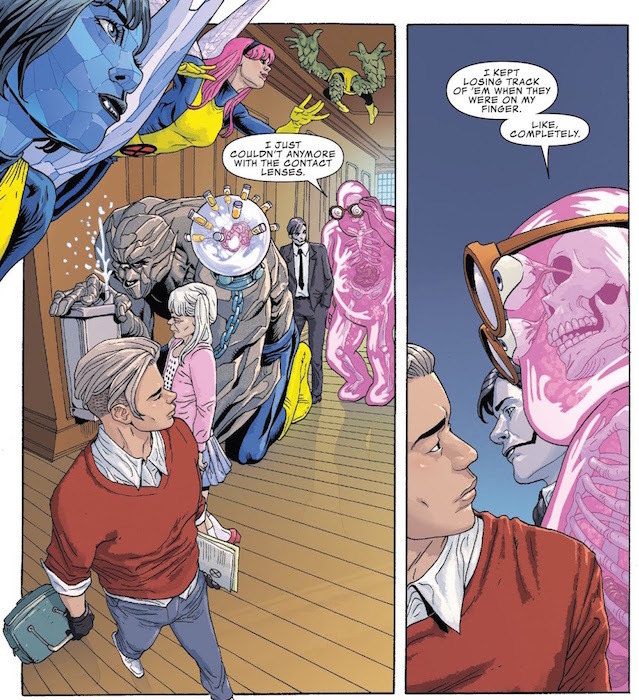 A similar problem is the hanging dialogue between issues: early in #1, in a meeting about her new role at the Xavier Institute mutant boarding school, Jubilee says “And I’m really excited to show– teach these kids what it takes to be one of the X-Men. It’ll be great!” Headmistress Kitty Pryde replies “uh… About that…” and it’s not until page eighteen of issue two that her reticence is given any sort of explanation. In a conversation between Jubilee and her misfit class, Quentin interprets Jubilee’s speech about “practical application training” to mean “There’s no room for you on the X-Men, so at some point they’re gonna kick you out [of mutant school and into normal society]”. Jubilee doesn’t refute that interpretation, so upon second or third reading it becomes clear that Kitty’s “about that” in issue one was regarding the matter of kids becoming X-Men, not about (as I had to guess) Jubilee being a teacher, and that what it regarded was the potential of that not actually happening. 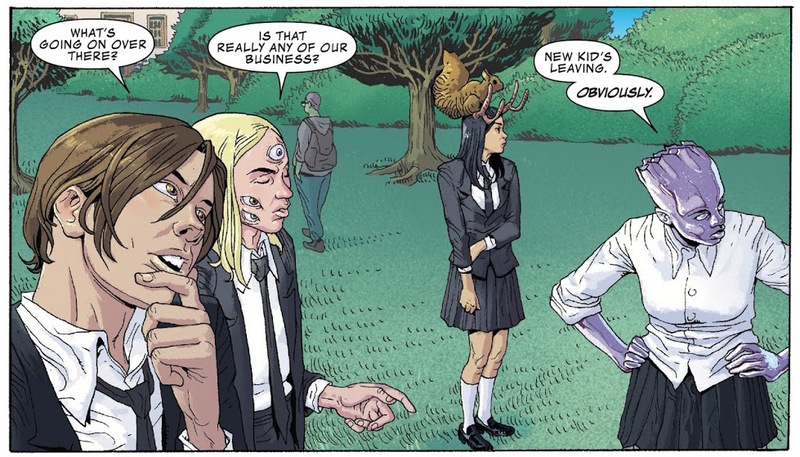 That, as the book develops, becomes a noted element of the Generation X premise: do the kids want to become X-Men, and (if yes) will they get the chance to by staying in Jubilee’s class group? That is not a prime concern in these first two issues— rather it’s not an emphasised one. It’s a totally buried lede, and in effect it’s buried by how clear it would be in television. 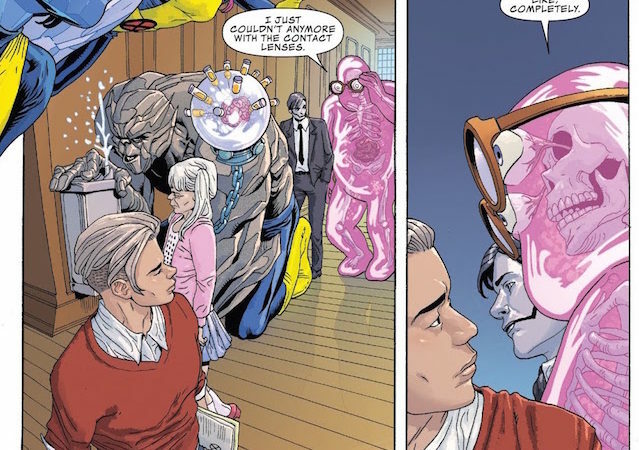 With the benefit of voiceover and background presence, and the containment of these two issues or more within one single episode (by the benefit of time working differently on paper versus in reality), it’s easy to imagine Generation X #1 and #2 being a successful enough introduction to a teen drama series about mutant kids at mutant school. It’s not “bad writing,” it’s just iffy American serial comics writing. 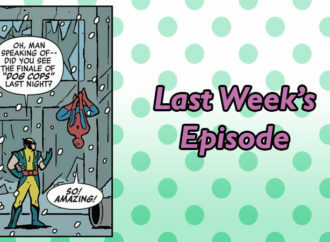 Each issue contains twenty story pages with a four-panel average—pages that, if you read them aloud and account for movement and pauses, amount to approximate one minute’s worth of performance—and two issues together, performed, really do add up to the airtime allotted to one episode of your average 2018 “genre” drama. A writer’s adaptation between media should be an editor’s concern, especially if a television writer has gained a job working with a monthly comics editor thanks to their success in television writing (though she was a comics colourist for Marvel and others and wrote a webcomic in 2011, Strain went to graduate school for screenwriting and worked on the series adaptation of Lev Grossman’s The Magicians prior to Generation X). Pinna’s draughtsmanship is accomplished and identifiable. His work has flair and characters emote and move expressively. He doesn’t have a lot of interest in drawing rooms or backgrounds (fair play, neither do I) but his fashion choices are good and his hairstyle illustration is purposeful and consistent. His lines create interest, and I can see why he’s been hired to draw this team. But they also create confusion and work against the book because he’s really not great at choreography (or perhaps I mean blocking? )— characters appear to skid around between panels; movement doesn’t flow effortlessly through the reader’s subconscious. In issue one, on page two, the first panel sees Chamber on his stomach, looking for Jubilee’s son Shogo under a bench. His feet are pointing away from it (pointing “south”) and his head is pointing towards it (pointing “north”). In the next panel he’s standing up beside the bench, and his entire body is facing “south” as he notices Shogo directly behind him (“north”). A speech bubble straddles the gutter between these panels, implying an immediate continuity— Chamber doing a sort of Macarena burpee, I suppose, to accomplish this switch. After Shogo laughs in panel two, Jubilee’s dialogue in panel three is “SHOGO! There you are! 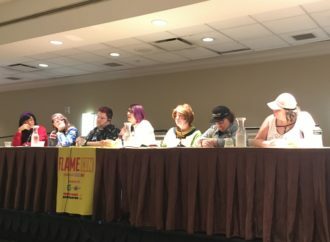 Holy cats, you had me worried–”, again suggesting immediate continuity between the panels, but now Chamber is on the other side of the wide path, across from instead of beside the bench, again facing north, and Jubilee is holding Shogo (presumably fetched from that far north hiding place of panel two). There’s too much extraneous motion made necessary between panels by the positions given in panels, so the whole scene seems glitchy and remote. 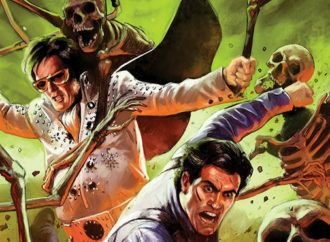 Issue two, page eight sees Quentin use his telepathy to command a group of people to stop hitting themselves (above). Unfortunately, as per the lettering, he does that after they’ve stopped hitting themselves. The speech bubbles make this clear, but Cowles’ lettering can’t be blamed as the confusion arises because of how Pinna laid out the panel. Speech bubbles indicating confusion and disbelief precede Quentin’s psychic command because the men they belong to precede Quentin. The men are to the left, and so their speech is too. Words on the left come first. There’s very little Cowles can do about that. 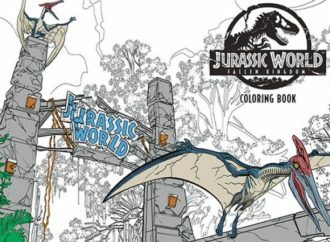 But, like with the pacing issues, the clarity issues, and the more-than-you-can-chew issues, there should have been something an editor could do, and that editor should have done it. “Can you redraw Chamber in this panel so he’s facing the same way?” “Bring this seeded dialogue back in before the end of the issue, so your reader doesn’t forget!” In many Marvel comics an editor’s note will be seen in a caption box, giving the issue reference for some event referred to in passing in dialogue or narration, which could have filled the audience in on things like Jubilee’s fang or her relation to the X-Men. If Ketchum missed these issues’ problems—it seems that he was personally close with Strain, which may have put unnoticed stress on his ability to edit her—Paniccia should have caught that he missed them. It’s not fair to contract writers, artists and letterers to produce Marvel comics without taking care to correct the mistakes that inexperience allows into their drafts. 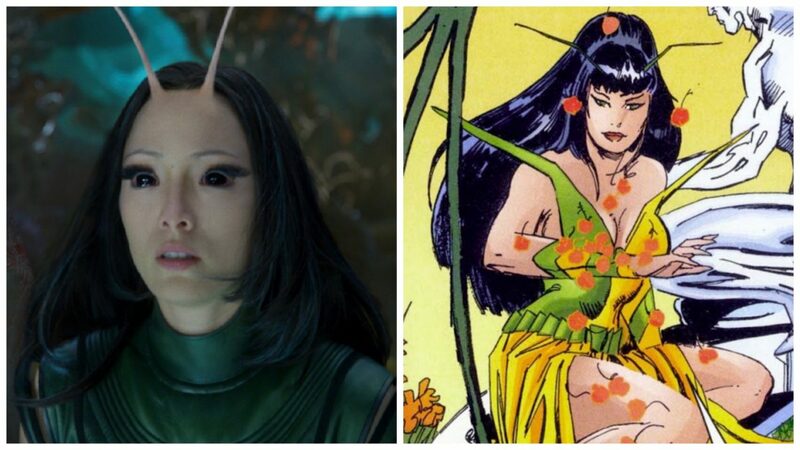 Creating a disappointing Marvel comic isn’t just creating a disappointing comic— it’s failing to meet a specific, elevated standard. 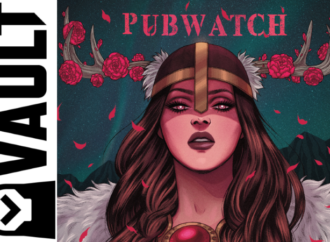 Failing to create a gripping first issue (or two) isn’t just failing to write a good monthly, it’s telling a prospective audience that there’s nothing to see here. Those failures should be disabled by Marvel’s editorial, because that’s the requirement of their job. Generation X (2017) had a good buzz, a winning cast, plenty going for it and a lot of built-in fans. Unfortunately it wasted a lot of them up front!